Turning on your greatness is not as hard as you think it might be. First, it starts with a decision. You decide this is the time for you to step into your greatness. Be courageous. You don’t have to eliminate your fears. You just have to be more courageous than your fears. You keep on going through the fear, obstacles and limitations without any type of hesitation, trepidation, or reservation. You walk right into it. Fourth, you go ALL OUT. You go crazy for whatever it is you want in life. You become great in the moment – right now in this moment when you make that decision. Great was great before great became great. You become great now; and then you walk with that. 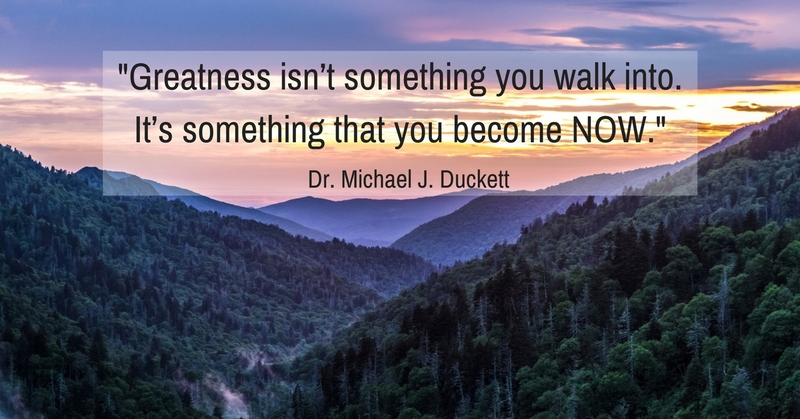 Greatness isn’t something you walk into. It’s something that you become now. 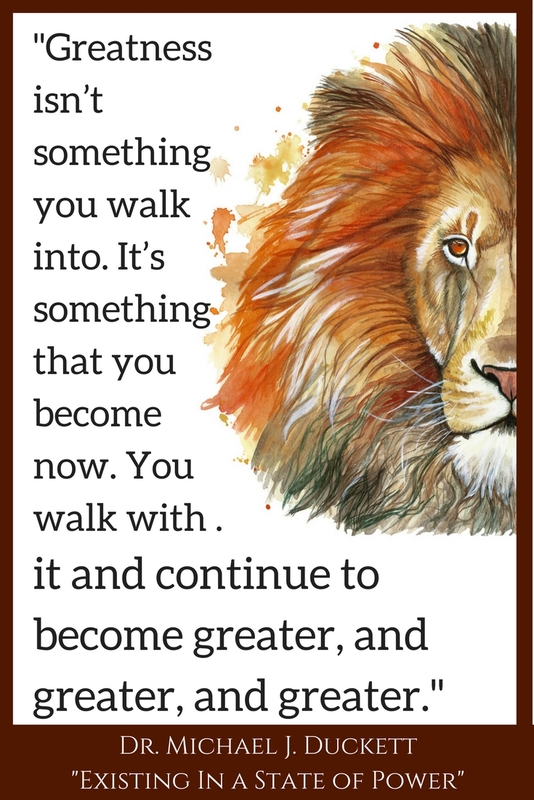 You walk with it and continue to become greater, and greater, and greater. You deserve greatness. Go for it! Check out Dr. Duckett’s book “Existing in a State of Power.” (You can read an excerpt here).